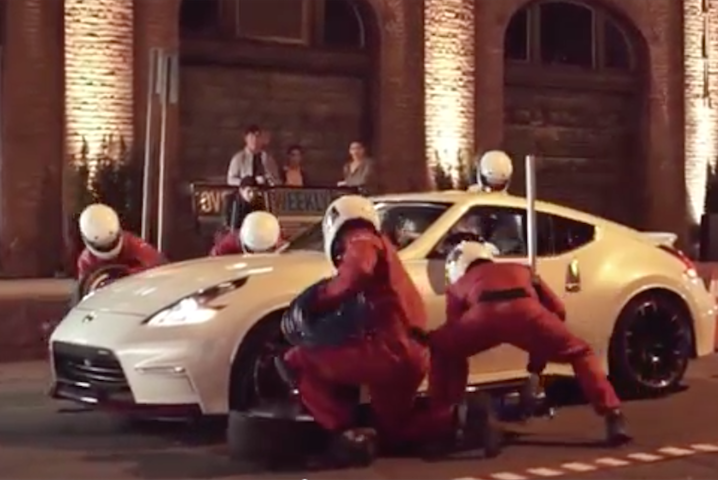 A scene from Nissan's "GT Academy" prank video. The fourth season of "Nissan GT Academy" has come roaring back to television, looking for North America’s newest professional racer to make the jump from the virtual racing world of PlayStation 3 racing simulator Gran Turismo 6 to the cockpit of a real racing car on the racetrack. The six-episode series, developed in partnership with TBWA\Chiat\Day Los Angeles, OMD and RadicalMedia, appears Friday nights on Spike TV, leading up to a season finale on Dec. 19, in which a single winner will be named. Check out the "Test Drive Prank" video, below, that TBWA created to build excitement for the program.